Xiaomi has been having a fantastic time in India over the past couple of years even as its growth in China seems to be thawing a little. According to a report from Canalys, the company actually managed to pip Samsung as the largest smartphone vendor in the country during the final quarter of last year, accounting for 27 percent of the market during the period as opposed to Samsung’s 25 percent. 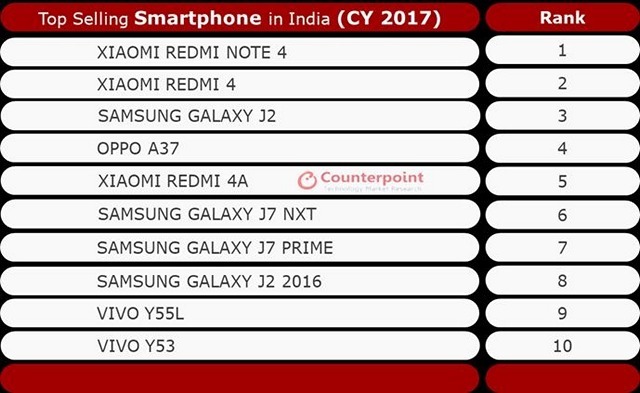 Now it is time for Counterpoint Research to bring some further cheer to the company by not only corroborating the Canalys report, but also announcing that the blockbuster Redmi Note 4 was the best-selling smartphone in the country in 2017. Samsung, however, retained its crown for the whole year with 24 percent share of the overall market, while Xiaomi managed only 19 percent. Meanwhile, the rest of the handsets on the list include the Redmi 4 at number two ahead of Samsung’s Galaxy J2, which occupies the number three spot on the list. The Oppo A37, Redmi 4A, Galaxy J7 Nxt, Galaxy J7 Prime, Galaxy J2 (2016), and Vivo’ Y55L and Y53 reportedly rounded out the top-10. 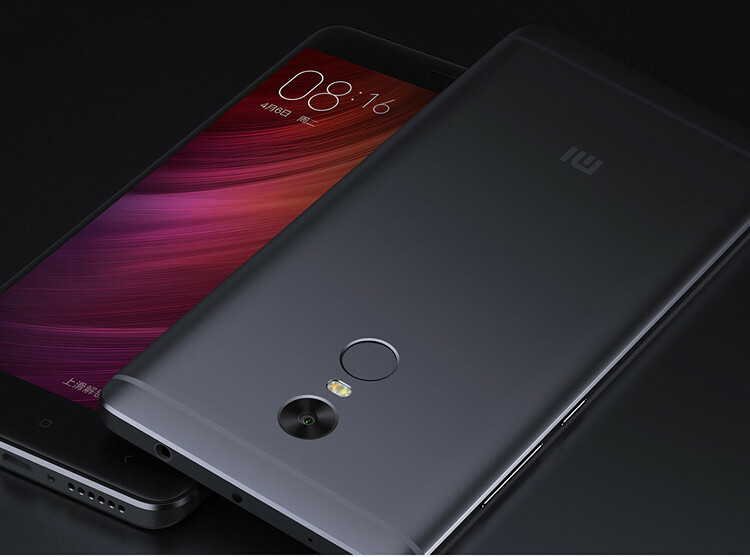 The one Xiaomi device that’s conspicuous by its absence is the Redmi 5A that’s also believed to have become highly popular in the country, with the company recently claiming to have sold over 1 million units of the device in less than a month. Speculation is that Chinese tech giant is expected to be valued at over $100 billion post its IPO later this year, and it has been steadily gaining market share in India and other regions where it operates at the expense of Samsung and other brands. It’s also recently increased presence in the offline sector in India, and will also be releasing new phones come end of February at the Mobile World Congress.